On behalf of our colleague and Tuxedo Project Fellow Rose Gorman, check out all the exciting events happening on Marygrove’s campus. 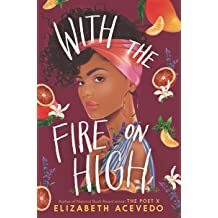 Also, mark your calendar to be with us on April 26thfor the Contemporary American Authors Lecture by slam poet and spoken word artist Elizabeth Acevedo. Join local poet Michael Lauchlan for a 6-week creative writing workshop inspired by The Poet X and other writing by some of our time's most talented storytellers. This workshop is FREE and open to writers of all backgrounds, genres, and experience levels. Copies of The Poet X, Acevedo's poetry collection Beastgirl & Other Origin Myths, writing materials, and refreshments provided by Marygrove College and The Tuxedo Project. Just bring yourself! Registration required. PLUS! Outreach programming locations include Detroit International Academy for Young Women, Downtown Boxing Gym Youth Program, Michigan Community Resources, and Detroit Public Library's Southwest branches. If you or someone you know is employed by or receives services from these sites, ask their staff about the special workshops and reading and discussion groups they have planned for their organization! The Tuxedo Project is a 501(c)(3) organization. In partnership with Marygrove College, our recent supporters include the Adamo Group, Hire It Done, the Michigan Regional Council of Carpenters & Millwrights, and students at the University of Detroit Jesuit High School & Academy, the school's Class of ‘88, and the Ignatian Service Corps. Programming at The Tuxedo Project is made possible by the John L. and James S. Knight Foundation. Special thanks to our individual donors and a host of dedicated artists, educators, and the Tuxedo Street community.